BREAKING: Rumors abound! Has Big Joke been transferred to RTP headquarters? Sanook said there was no official written confirmation of the surprise news yet. But their headline said "Rumours abound" and "lightning transfer". Outlets were reporting that he had indeed been transferred "until further notice", said Sanook. Sanook mentioned the Lt-Gen's close relationship with DPM Prawit Wongsuwan. They said that Big Joke's Facebook page was taken down. It is a very well visited site where the public go to report crime and when the Lt-Gen posts news of his crime busting exploits. The Thai Immigration Facebook page also appeared to have been taken down on Saturday. Big Joke’s Twitter account also looks like it has been removed. Further interest was generated by the fact that a Region 3 chief of Immigration and close colleague of Surachate presented at a news conference regarding suspects in the Election Commission fake news case. 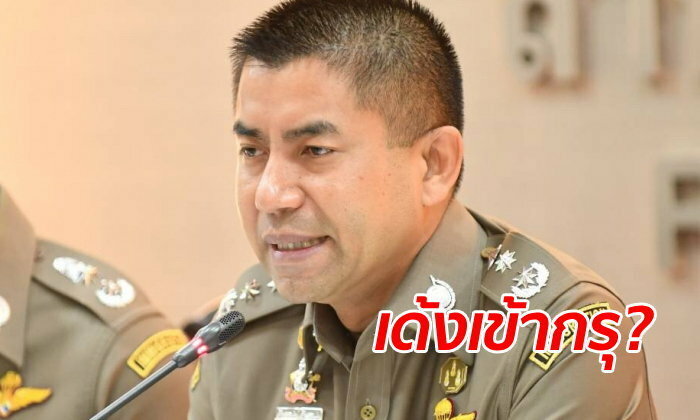 Sanook said it would have been expected for the chief to be at the Thung Song Hong police station in person. Instead there were reports - still unconfirmed - that he had been transferred. It also appeared that Big Joke was not present at the most recent ‘X-Ray Outlaw Foreigner’ raids on Thursday evening. Meanwhile influential Thai new site Thairath reported that the news was everywhere but they too had failed to get any confirmation. They said that rumors of the chief's transfer had been flying around all day. They added that contact with the RTP spokesman and the Lt-Gen himself had ceased. Krung Thep Thurakit, Voice TV and Naew Na also reported rumor of the transfer. KTT said it was a "late night move" while Voice TV said "no reason was given" and Naew Na said that the transfer last night was "indefinite". KTT said it was a "late night move"
Almost like a transfer in an inactive post. has he now become even More Important? Be careful what you wish for. His successor may squeeze even further. Cessation of 90 day reports. busted the wrong Chinese call center? or maybe that Japanese one from last week? Was bound to happen as he was trying to do a good job. In the process he has upset the easy lives of countless Immigration 'Officials' who have had been made to 'work' with their perks cut off or cut down, slices of which are no longer going up the line to the top. maybe the usa had put down the hammer? The big BJ has just been too relaxed, good-natured and easy going. The Junta wants someone who will whip the Immigration Gestapo into a lean, mean repression machine. The security of the nation is at stake...and there needs to be a ruthless crack down on the subversive and dangerous foreigners. Probably not. He’s most likely been found out to be not as clean as he’s wanting people to believe and it’s being pushed under the carpet by the quick, quiet transfer, and, hopefully, never to be heard of again. This rascist should never have been given any power anyway, especially in immigration. Good riddance to bad rubbish! And tomorrow Big Joke will be back on duty and looking for a Mr. Falcon.